We’re delighted to announce that all three of our settings have achieved Millie’s Mark – a national accolade that recognises commitment to paediatric first aid. We undertook the training at our three settings – Crabbs Cross, Studley and Northfield. And it means that now 100% of our staff are paediatric first aid trained. Millie’s Mark is named after Millie Thompson, who tragically died after choking on food at nursery in 2012, when she was just nine months old. 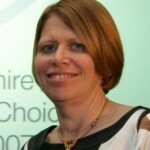 Millie’s parents, Dan and Joanne Thompson, founded Millie’s Trust and have successfully campaigned for changes to first aid requirements for childcare providers. Early Years Foundation Stage (EYFS) guidance states that just one person with a current paediatric first aid certificate must be available at all times when children are in nursery or on outings. Millie’s Mark aims to recognise childcare providers that go above and beyond these minimum requirements and have 100% of staff trained in paediatric first aid. They must also ensure that everything learned during the course is kept at the forefront of practitioners’ minds so that they are confident, ready and capable. Millie’s Mark is England’s gold standard in paediatric first aid and is administered by National Day Nurseries Association (NDNA). 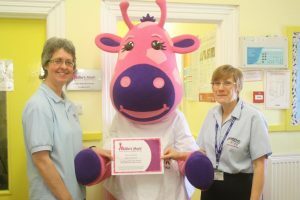 Bright Kids Group Owner, Tricia Wellings, said: “I’m very proud that all three of our settings now carry Millie’s Mark accreditation. It provides assurance to parents that all of our childcare practitioners are paediatric first aid trained and competent. First aid is always at the forefront of our minds when caring for small children and we take our responsibilities extremely seriously. 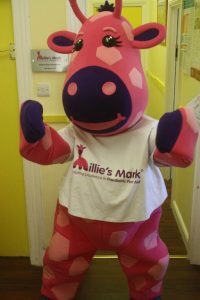 For more information about Millie’s Mark, visit www.milliesmark.com.